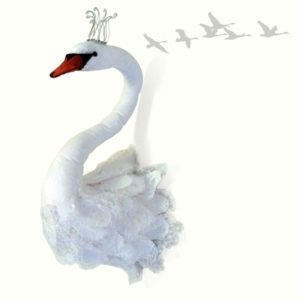 This beautiful swan holds everything from plants to toilet roll! 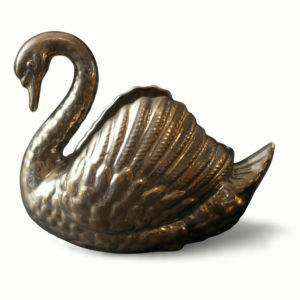 A fabulous planter in the form of a swan. We use this majestic beast to store magazines in our living room. He’s also good for hiding bits ‘n’ bobs and, of course, will happily hold a plant or two, both indoors and outdoors, on the ground or table top. Our swan is almost life-size and probably a Bewick*. Off-white hollow acrylic/plaster body measures approx. 43cm from base to crown of neck and 55cm from breast to tail feather. Please note, metal roses not supplied (and sadly no longer available). 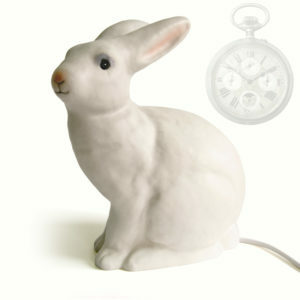 * Watch out – it appears we have an ornithologist at Frank Design HQ! Please note, due to the size and nature of material, this item may incur an extra delivery charge to an international address.